ABOUT | Lauren Ozbolt, M.D. 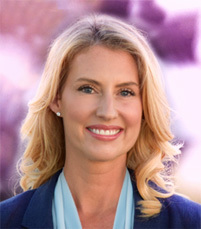 Dr. Lauren Ozbolt, M.D. is a board certified Adult, Child and Adolescent psychiatrist who specializes in the evidence-based treatment of mood, anxiety and eating disorders. Extensively trained in psychopharmacology, she offers a comprehensive personalized approach that is tailored to her patients’ individual needs. Her empathetic and thoughtful approach to care has made Dr. Ozbolt a favorite among teenagers and adults alike.